What do you like? What don't you like? What do you hate? 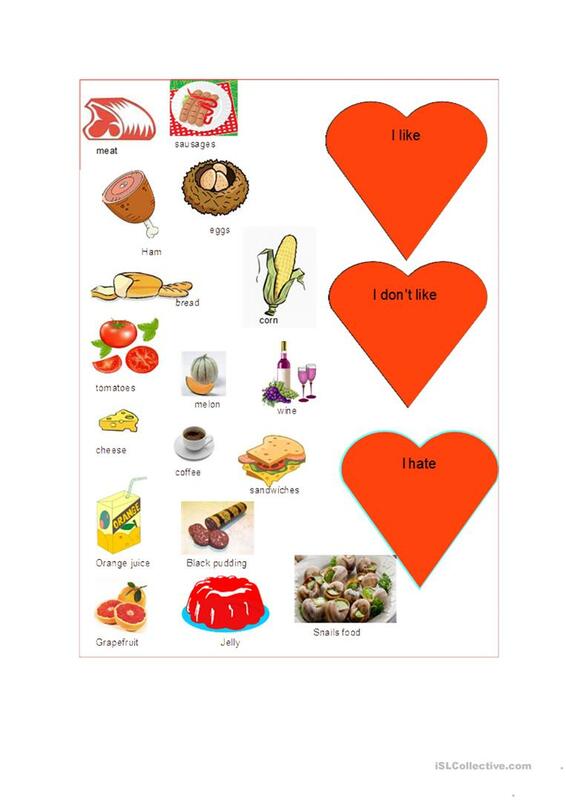 Write the words into the correct "heart" then report to the class. Ask questions to your classmates about their food taste. This downloadable printable is a great resource for elementary school students at Elementary (A1) and Pre-intermediate (A2) level. It is great for teaching Present simple tense in English, and can be used for honing your pupils' Writing skills. It features the theme of Food.